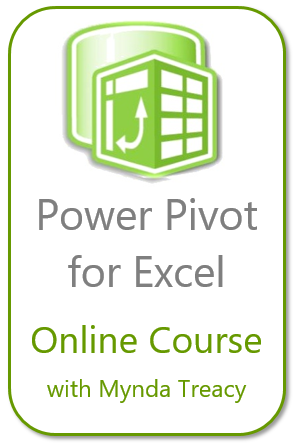 ← Excel Humor #5 – Are you relying on Excel too much? Last week, I shared the news about the free Excel Dashboard Webinars by Mynda. I hope you did find a time to join the webinars. If you haven’t watched the Webinars and are not sure what a dashboard is or how these skills might be relevant to you, then you can attend Mynda’s FREE Excel Dashboard Webinars, but hurry as they’re only on for a few more days. 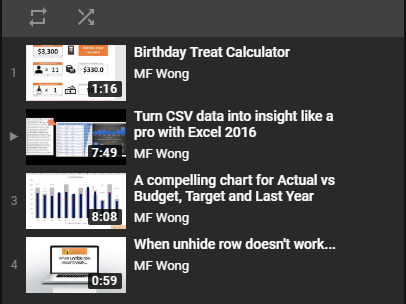 If you’ve watched Mynda’s FREE Excel Dashboard Webinars, and you’re ready to take your dashboard skills to the next level then check out Mynda’s Excel Dashboard Course. It will teach you how to build amazing interactive dashboards that impress your boss, get you noticed and help you stand out from the crowd. And the best part, aside from the praise from your boss and colleagues ;-), is you’ll also learn tons of tips you can use in your everyday Excel work to get things done more efficiently. By the way, the 6 weeks of personal support is the reason the course is only open for a limited time (registration closes Aug 18). Mynda limits the number of classes to allow time for other projects and a break every now and again. That’s not to say she won’t support you after the first 6 weeks, it’s just that it might take her a few days or a week to reply to you if she’s out of town or busy working on another course etc. Click here for more information and a sample video from the course (it’s worth watching just to learn this tip). Dashboards are an incredibly valuable tool in today’s market for consultants, analysts and managers. And when you know the tricks it can be straightforward to build highly professional and interactive Excel dashboards. If your work requires preparation of reports in Excel (or you’d like it to) then you will find this type of training worthwhile. Mynda teaches you some simple rules (that most people don’t know), which you can use in all of your Excel work that will get your job done more quickly and efficiently, and of course she’ll teach you how to make killer dashboards including animated charts and other cool interactive elements. I would highly recommend the course but don’t take my word for it. You can read further comments from past students and find out more here. However, this course is not for Excel beginner. You will enjoy a 20% early bird discount if you register Mynda’s Excel Dashboard Course by Thursday August 11 (at 8pm in Los Angeles to be exact). Just to remind, the course will be closing on Thursday August 18. Disclosure: I make a small commission for students who join Mynda’s course via my site, but as you know I don’t just recommend anything and everything. It has to be of outstanding quality and value, and something I can genuinely recommend. After all, if doesn’t live up to what I’ve promised you’ll think poorly of me too and I don’t want that. Oh, and just watching the course videos won’t transform your career, like you won’t become a Master Chef by reading cook book only. You have to actually put it into practice, but then you know that.